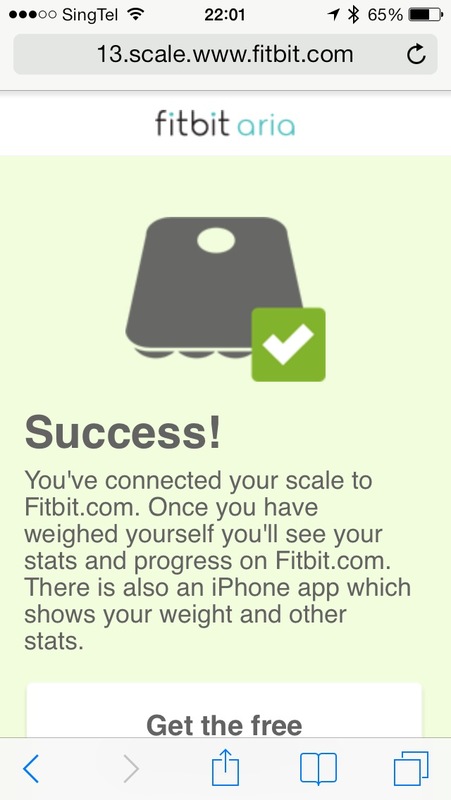 Bought the Fitbit Aria from Amazon during it’s Black Friday week lightning deals. 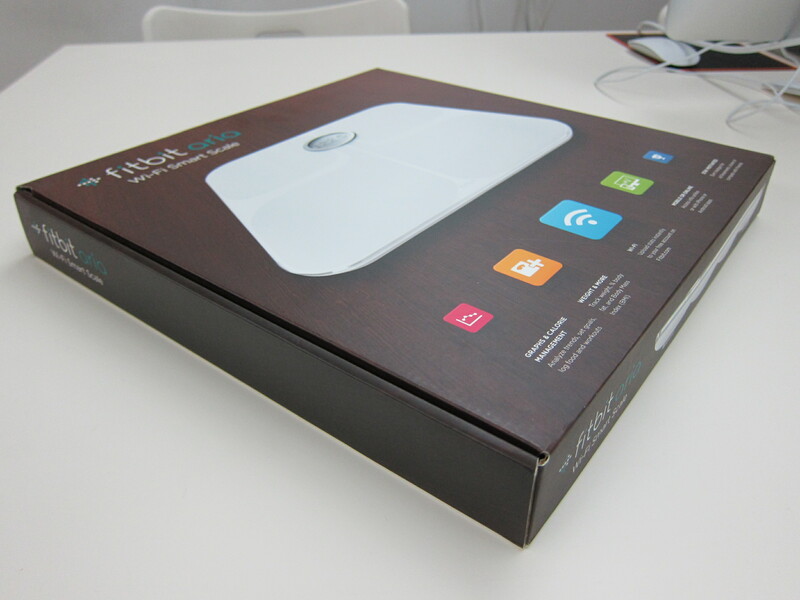 I got it for US$93.99 (S$118) including shipping because the order is qualified for AmazonGlobal Saver. 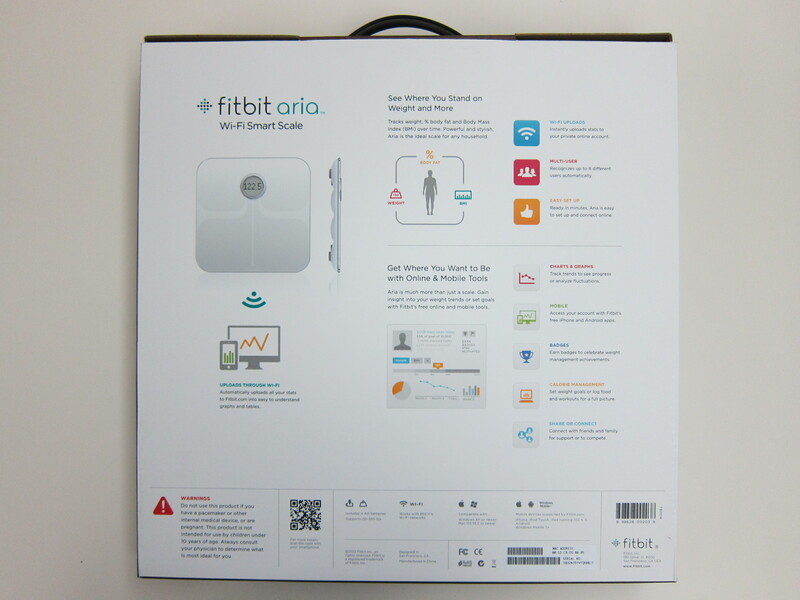 In Singapore, the Fitbit Aria is retailing for S$169 on Apple Online Store, so you saved S$51 but you have to forgo the 1 year warranty. 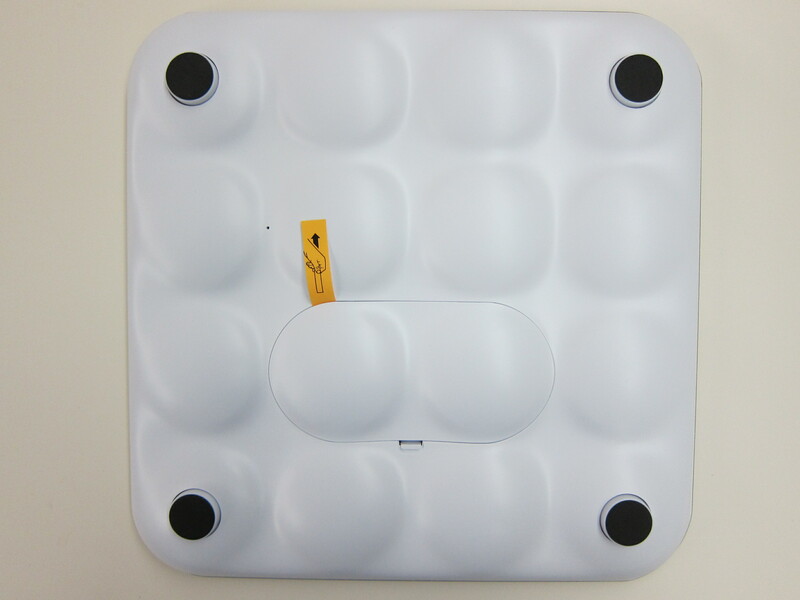 I chose the color white because it matches my iPhone and iPad Air. 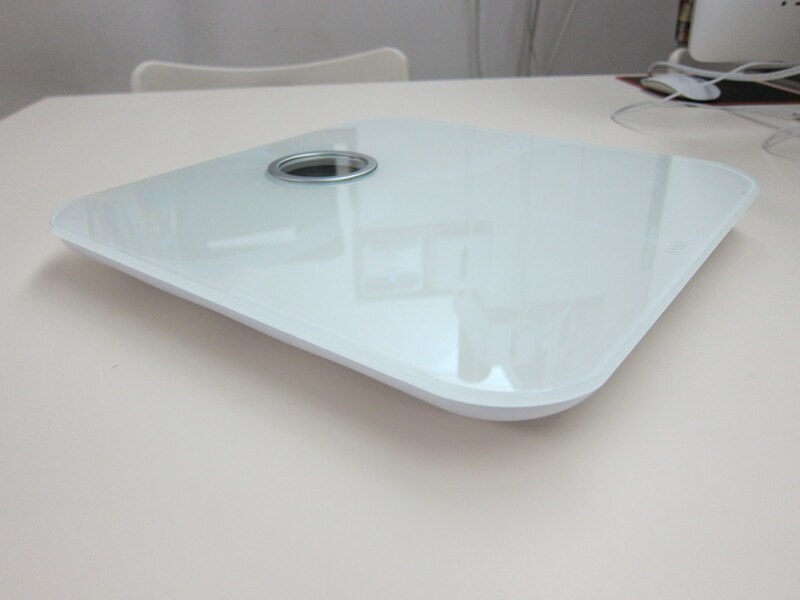 Previously, I am using the Tanita Glass Digital Bathroom Scale HD-382. 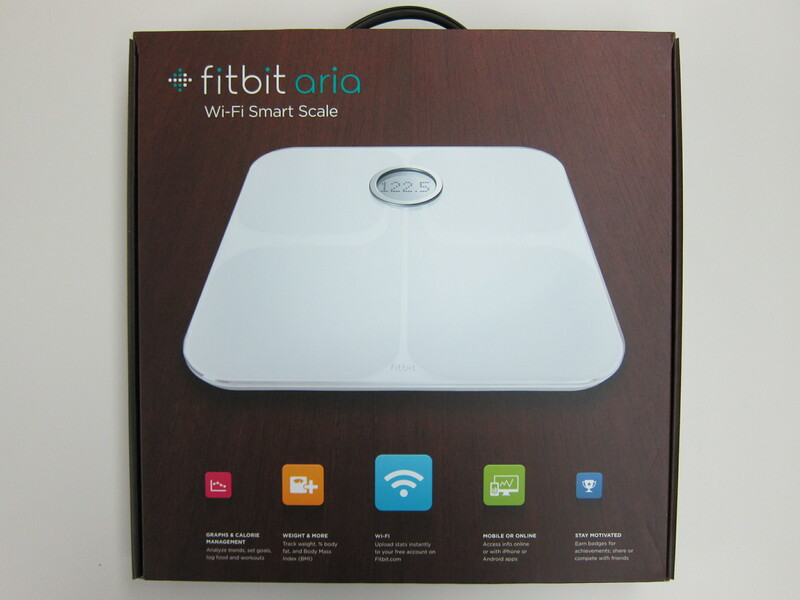 The Fitbit Aria allows you to monitor your body fat and weight over the longer-term using graphs, so you can manage your health more meaningfully. 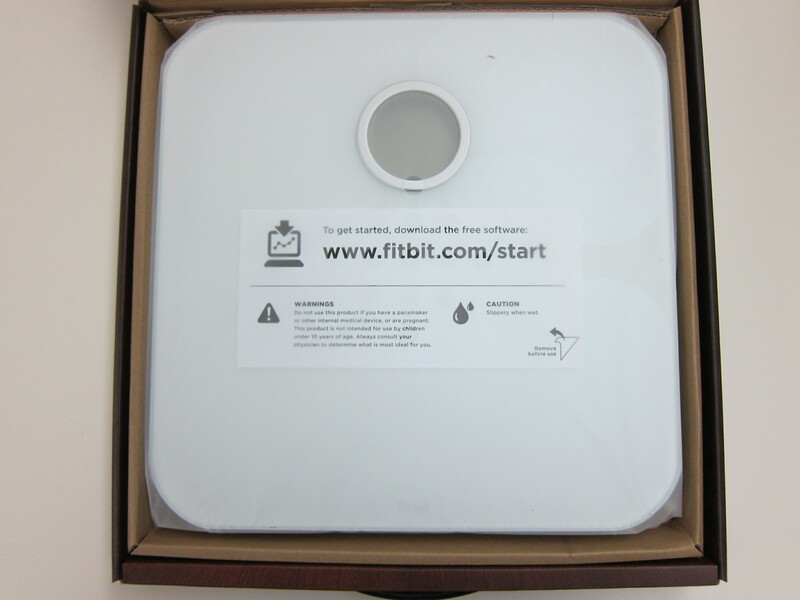 The weighing scales also measure your body’s fat and lean mass, before sending the information through your home wireless network so you can access it using Fitbit’s free app. 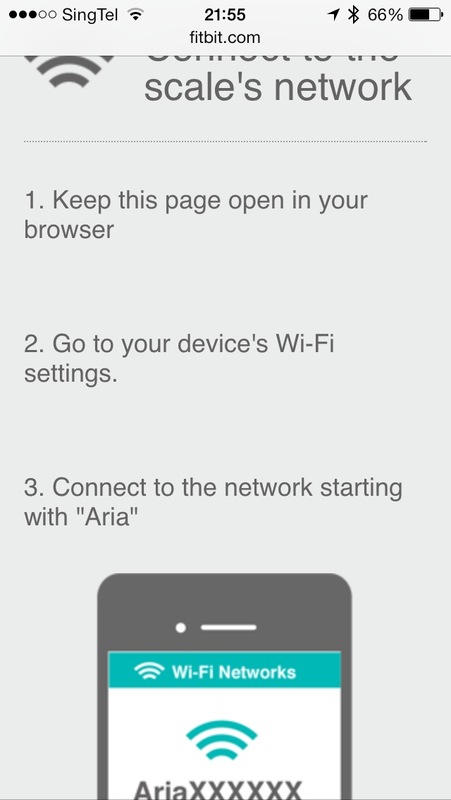 There are 2 ways you can setup your Aria, the first is downloading the software and installing it on your PC/Mac but that will only work if your PC/Mac is connected to the Internet using Wi-Fi. 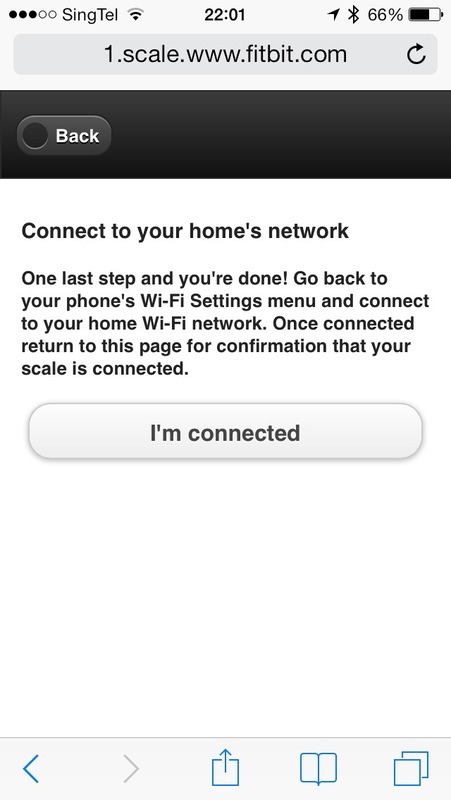 This option is not really for me because my desktop PC is connected via LAN. 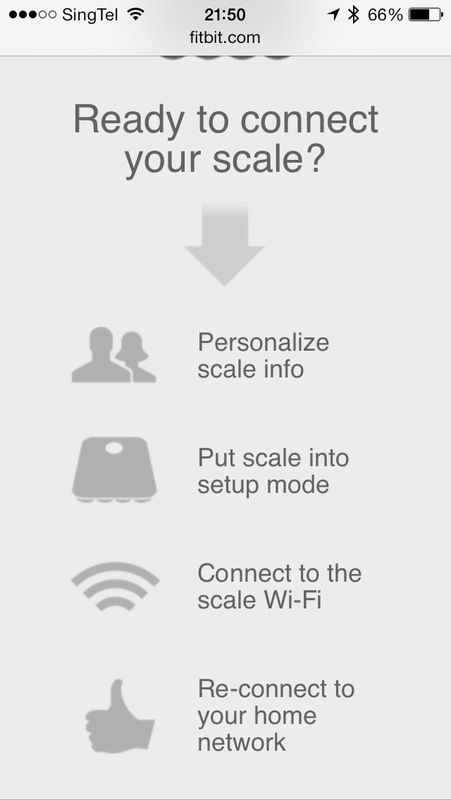 The next way is to use your mobile phone to set it up by visiting fitbit.com/scale/setup/start. 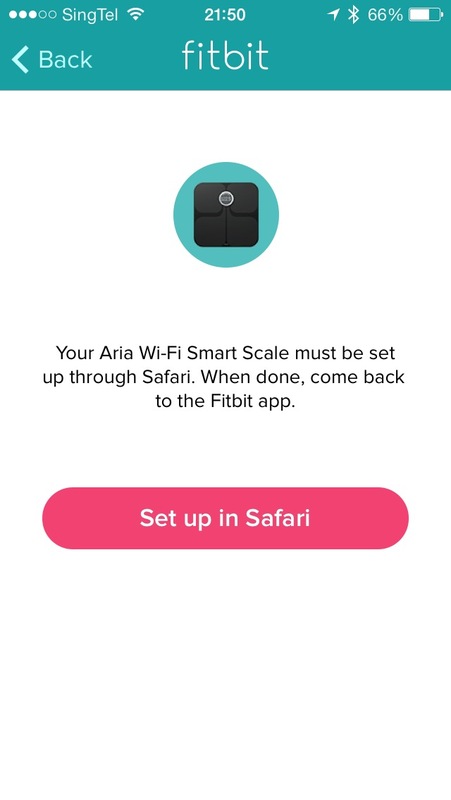 Just a FYI, the Fitbit iOS App and Fitbit Android App does not support the setting up of the Aria. 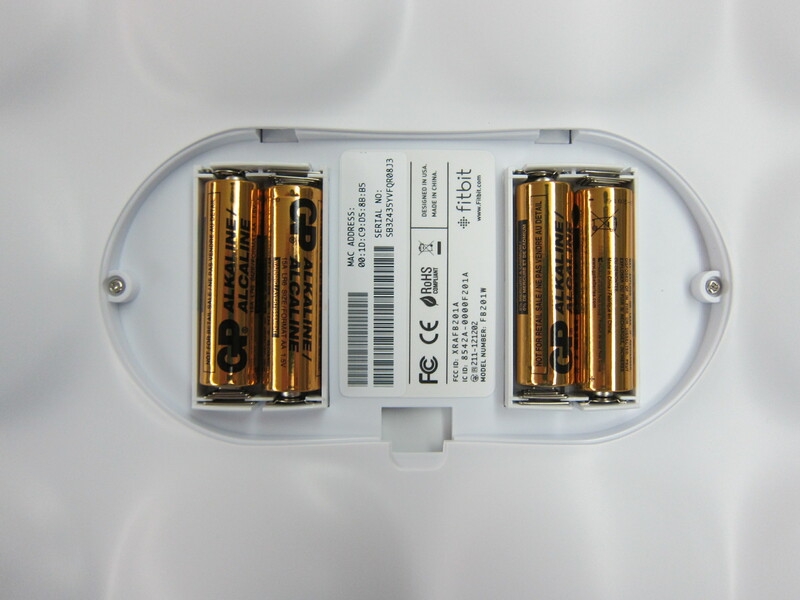 To get your Aria into setup mode, you need to remove one of the four included AA batteries and wait for 10 seconds before putting it back. 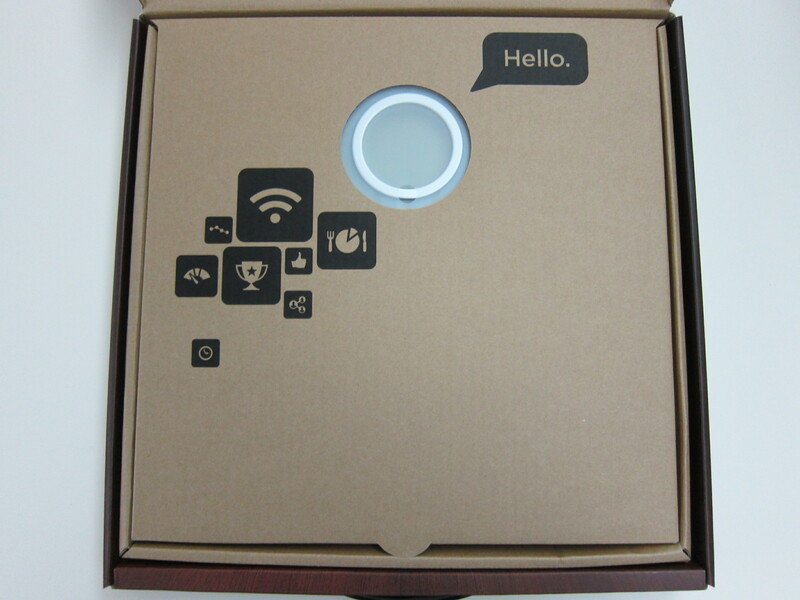 I tried this a couple of times before I can get it into setup mode. 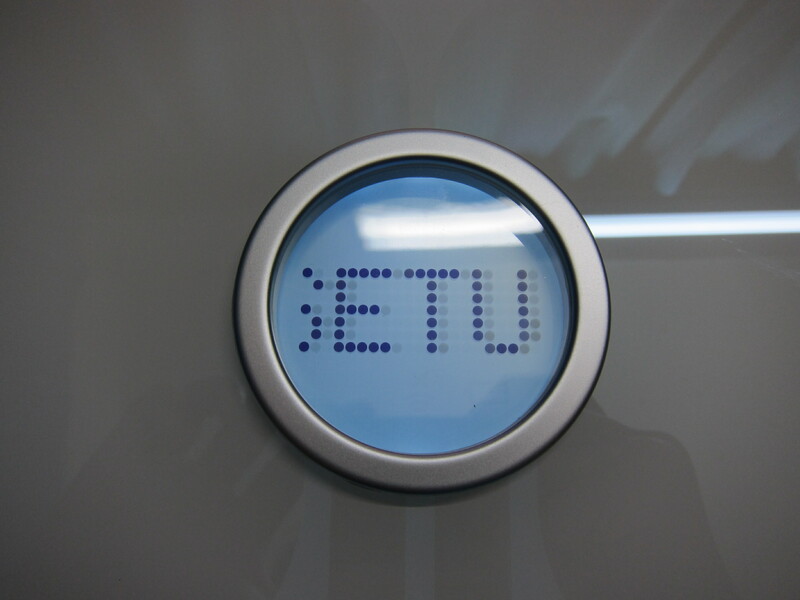 I wish there is a button to press at the back or something. 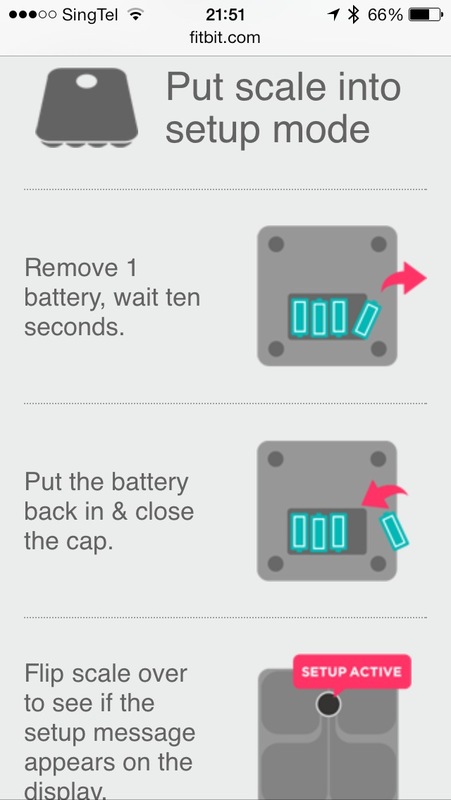 At first I took out just one battery and waited for 10 seconds, but nothing happens, so I took out all the four batteries and put it back in and only then it went into setup mode. 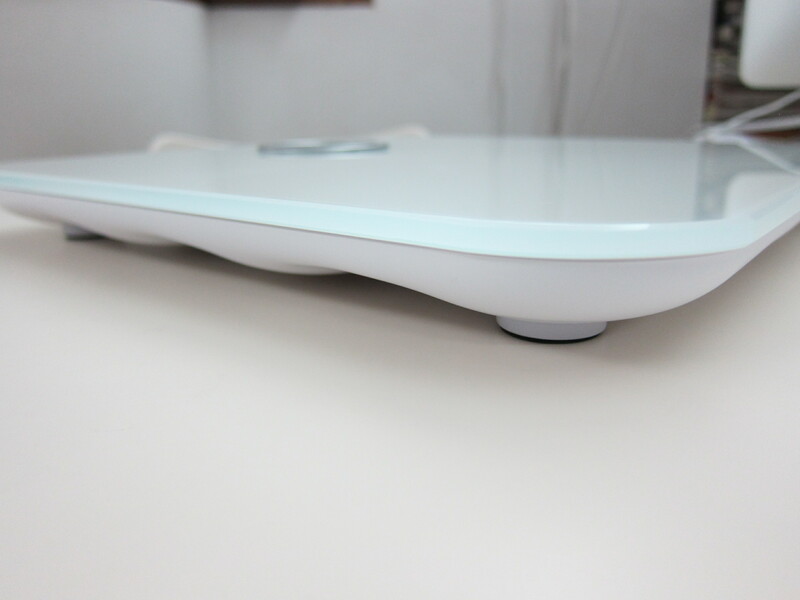 Once it is in setup mode, Aria will create it’s own wireless access point (AP) and you need to use your mobile phone to connect to it. 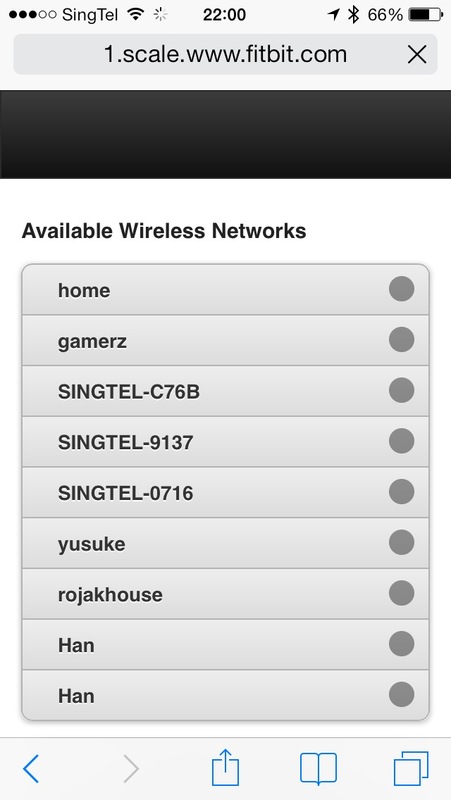 Once your phone connects to it, you then will be able to setup your Aria to connect to you wireless network. 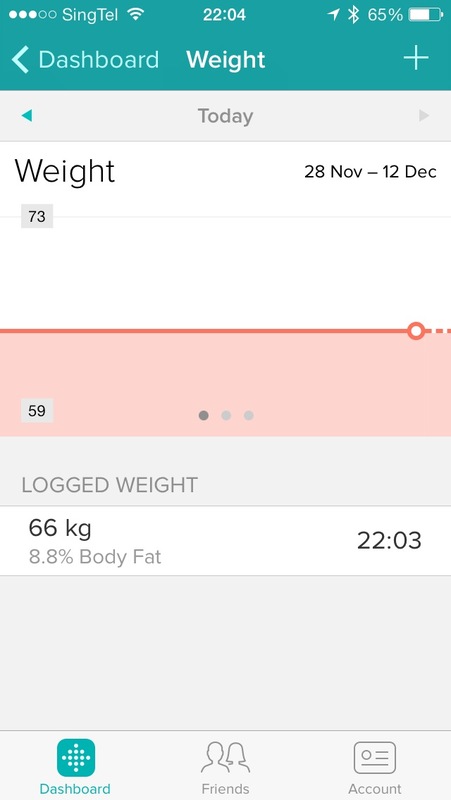 The whole setup process needs to be completed before a certain timing (not too sure what the value is). 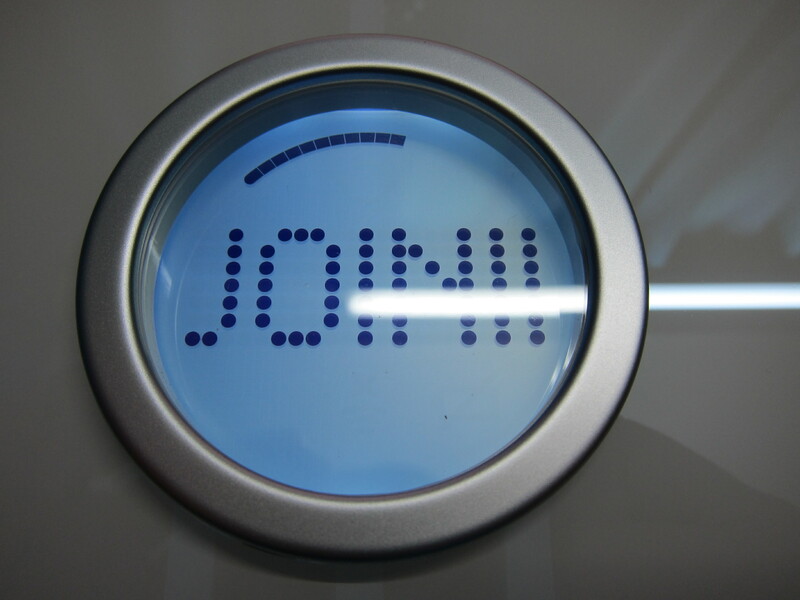 Because I took photos along the way and it took longer than usual, when I got to the scanning for Wi-Fi network step, the Aria timed out and shutdown by itself and I have to repeat the whole process again! 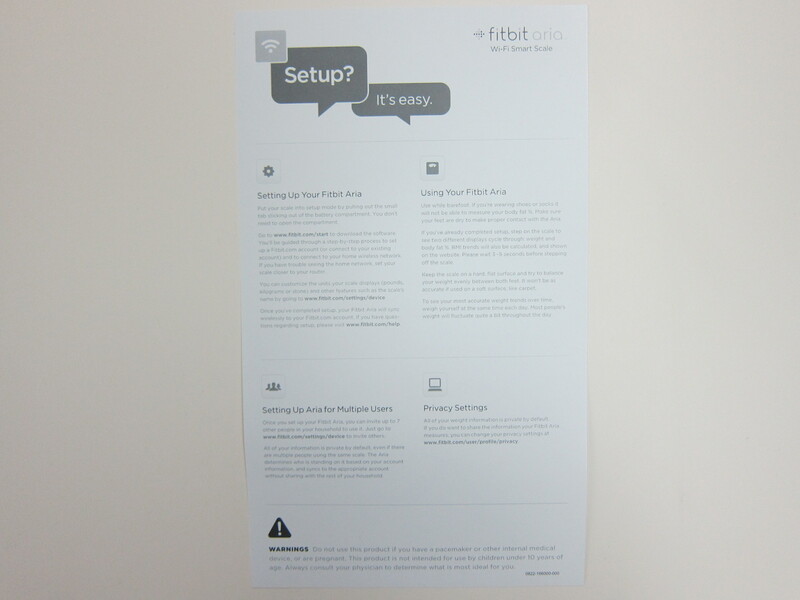 The whole setup process is very tedious. 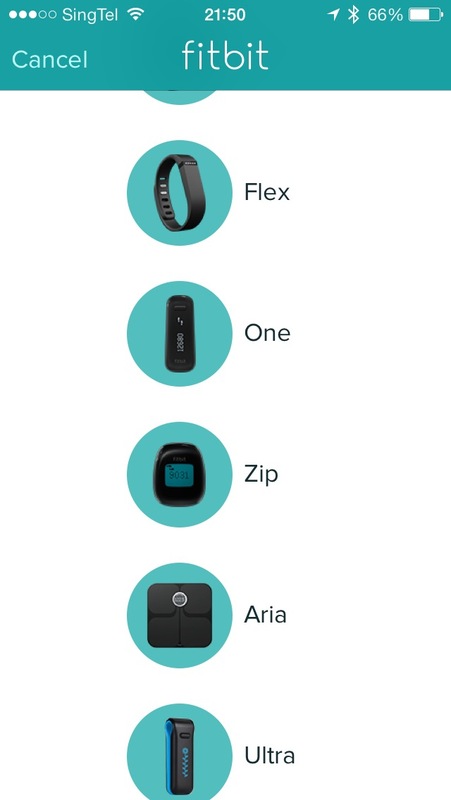 I hope Fitbit improved on it in Aria 2. 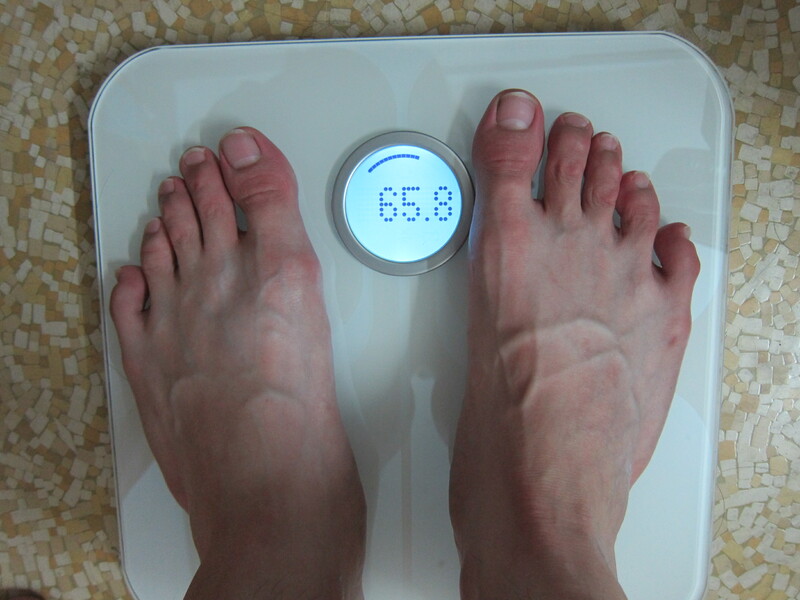 The Fitbit Aria is capable of supporting up to 8 users based on their weight. 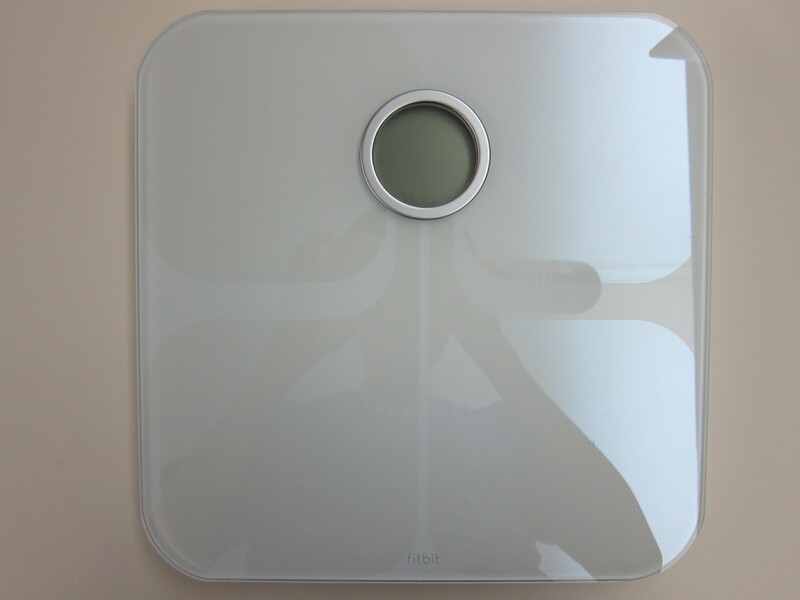 If two or more users have similar weight, the scale will recognise this and after showing a user’s weight, the Aria will display initials on the scale. 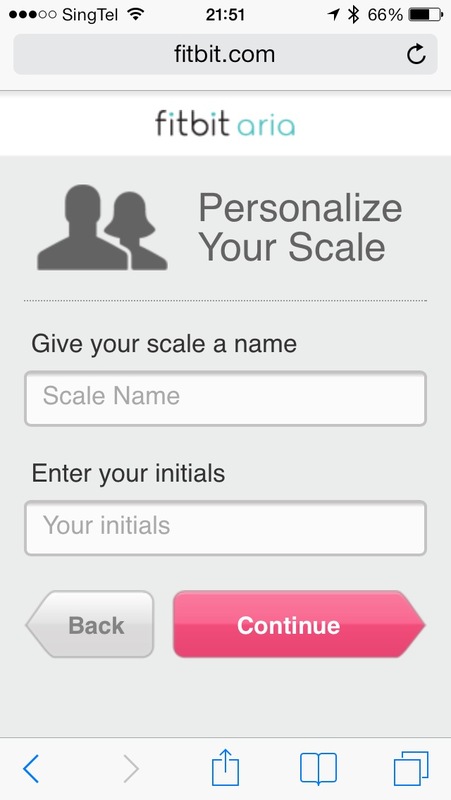 If the initials shown are not correct, tap the scale until the appropriate initials appear. 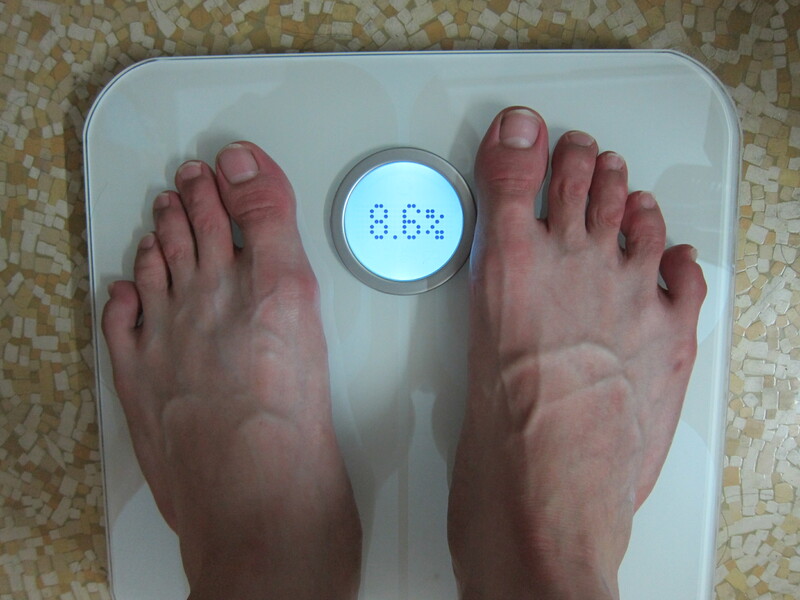 The scale will then assign the measurement to the correct person. This page is generated on 20th April 2019, 12:16:40 (UTC) in 0.283s with 17 queries using 2.0 MiB of memory.